Note: Proof not provided for this item. No additional customizations may be made. No Location Marker can be added. 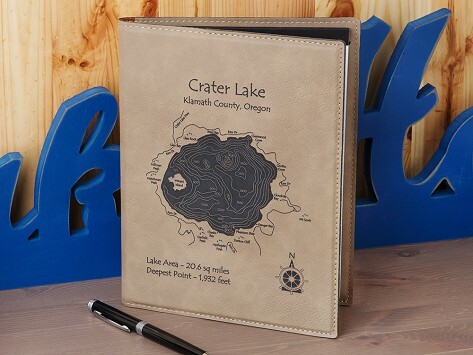 Refillable notepad holder features a bathymetric representation of your favorite lake or coastal area, including roads and local details. 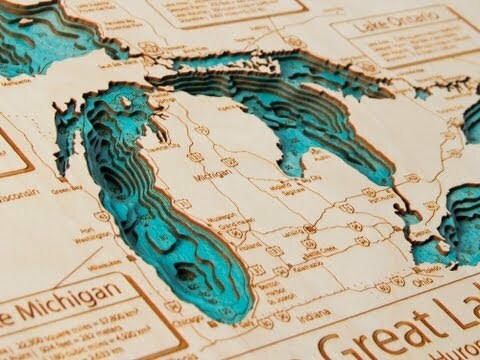 Choose from over 6,000 maps currently available. Dimensions: 9" x 7" x 0.5"
Nice gift for a host. Nice bedside note book by the beds of our home.